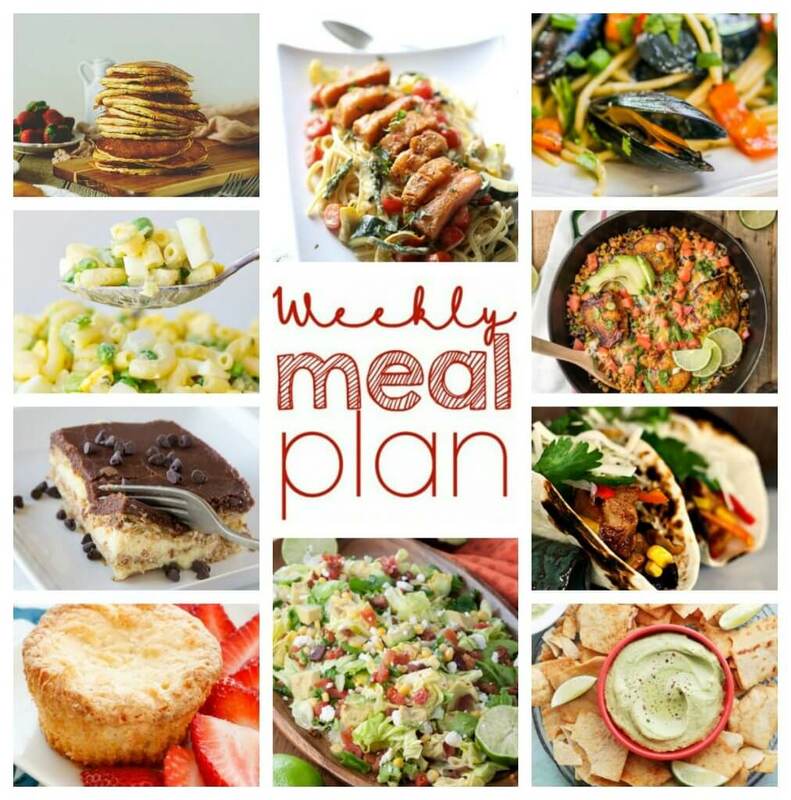 Do you plan your meals each week? Do you shop on the weekend, prep and have everything set for the start of the week? Do you fly by the seat of your plans and just wing it? Do you get take out because you are out of time and just need dinner on the table? I think that if you have a plan, you can have a home cooked meal on the table most nights of the week. Spending a little bit of time on the weekend to come up with a plan, makes the whole week easier. Not only do you know what is going to happen each night, but so does your family. So there is no complaining when everyone gets home and someone sees that chicken is on the menu. They know on Sunday what to expect every night! So each week I am getting together with 9 other bloggers to give you a complete menu for the week. We have 6 dinner recipes, 2 side dishes, and 2 desserts. Sometimes we will throw in a fun drink as well. Everything is seasonal and pretty easy to make. So follow along each week and get ready for easy and tasty week!